Nowhere in the United States comes close to Alaska when it comes to scenic superlatives (the wildest, the best, the most). As the nation’s biggest state (twice the size of the next largest, Texas), it rewards adventurers with an epic mix of sky-scraping peaks, calving glaciers, jagged sea cliffs, wildlife-rich forests, and dazzling landscapes that stretch out as far as the eye can see. We head off to the so-called Last Frontier to find out what sets this outdoor playground apart from the "Lower 48" states in more than just geography. Given that Alaska has over 12,000 rivers, streams, and creeks, there’s no shortage of significant watery wonders for newbies, experts, and everyone in-between. Some of the best adrenaline-soaked adventures can be found at the three distinct canyons along Six Mile Creek - the state’s most challenging and highly-technical Class IV and V whitewater run suited to advanced rafters who can cope with fast gorge-style rapids, sheer walls, sharp rocks, and steep drops. Equally brilliant for bouncing your way over turbulent waters is the Nenana River, the Tatshenshini River, the Copper River, and the iconic Alsek River (especially the 150-mile section that starts in the dry interior of the Yukon, flows past huge glacier faces and through swift whitewater, and ends on the Alaskan coast within the Glacier Bay National Park & Preserve). Just bear in mind that most rafting operators will insist on testing your swimming skills prior to getting you out on the river. Don’t miss: Ideal for those wanting to avoid a white-knuckled rollercoaster ride, a two-hour Kenai River scenic float trip offers a gentle introduction to river rafting. 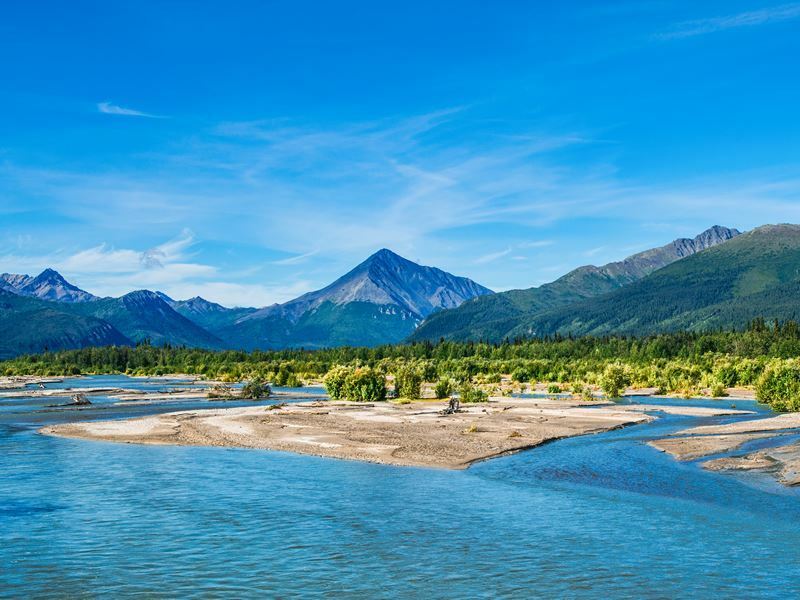 This serene guided tour takes you along a placid stretch of the scenic Upper Kenai River in Cooper Landing where you can keep your eyes peeled for amazing wildlife (moose, eagles, Dall sheep, bears) before manoeuvring through the 1.92-million-acre Kenai National Wildlife Refuge. For anglers who fancy a true flashback to nature, Alaska is home to 627 species of fish, including salmon, trout, halibut, arctic char, pike, grayling, and Dolly Varden. Assuming you’re prepared to stick to the rules and regs (anyone who fishes in the state will need an official Alaska Department of Fish & Game license; available practically everywhere), you can enjoy the delights of three million-plus lakes, 12,000 rivers, and thousands of well-stocked streams. 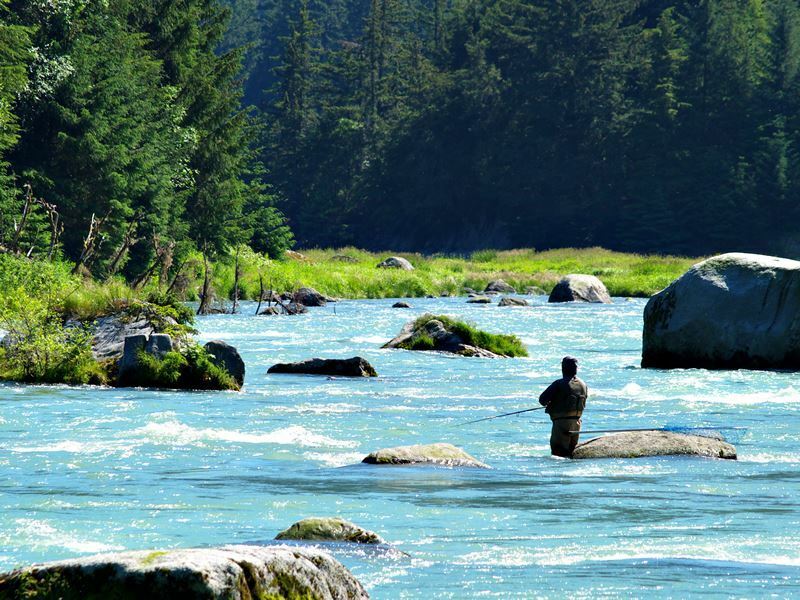 Some of the best spots include the Kenai River and the nearby Kasilof River for their trophy-size Chinook salmon and spring rainbows, the Pasagshak River for its Sockeye, Pink, Chum, and Silver salmon, the Chena River for its huge Arctic grayling, and the Russian River for its two famous Sockeye runs held in late-June and late-July. Other species such as Northern Pike, Burbot, and Arctic Char can be found in numerous locations along Alaska’s road system. Don’t miss: So long as the waves are flat (and they often are in the protected coves and bays), any rod-and-reel combo will work for anglers keen to snag a variety of saltwater and anadromous fish. Whether you end up taking an overnight cruise or hopping aboard a day boat charter, the most common catches include halibut, lingcod, and rockfish. For the boatless, there’s some excellent surfcasting to be done by wading in the surf - or simply by standing on the shoreline. 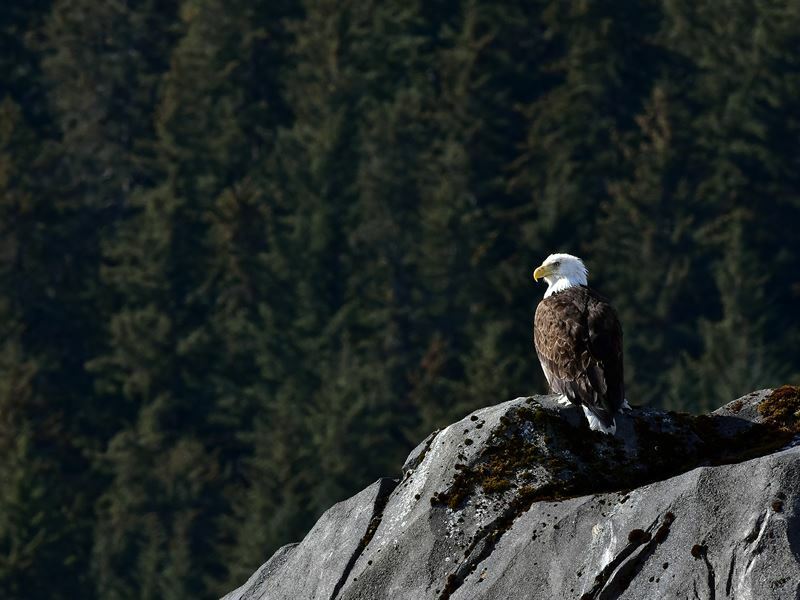 While springtime promises high-flying feathery fun across all of Alaska (including Nome, Gambell, Barrow, Adak, Homer, and Glacier Bay National Park), it’s the much-hyped annual migration event in Juneau that gets all the glory. At its peak between April and May, tens of thousands of birds travel to-and-through the state’s remote capital to breed in its mountains, forests, wetlands, intertidal, and marine habitats. 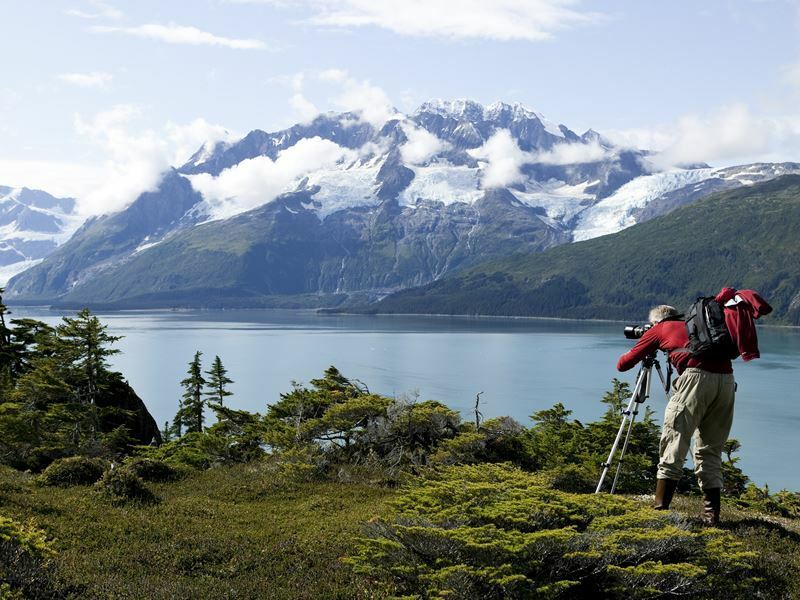 Some of the best places worth getting your binoculars and long-focus camera lens out for are Mendenhall Wetlands State Game Refuge, Point Bridget State Park (especially along the salmon-filled streams of Cowee Creek), and the Mendenhall Glacier Recreation Area. Sightings will come fast and furious, and twitchers are likely to see dozens of the 280 recorded species (look out for bald eagles, tundra swans, rufous hummingbirds, American redstart, northern waterthrush, and warbling vireo). Don’t miss: Designed to welcome the rufous hummingbirds back from the southern United States and Central America, the annual Ketchikan Hummingbird Festival is held annually throughout April. As well as guided bird hikes, you’ll find a slew of fun activities such as film presentations and arts and crafts workshops. This is also a great place to watch gray whales migrating northward to their summer feeding grounds in the Chukchi and Beaufort seas. 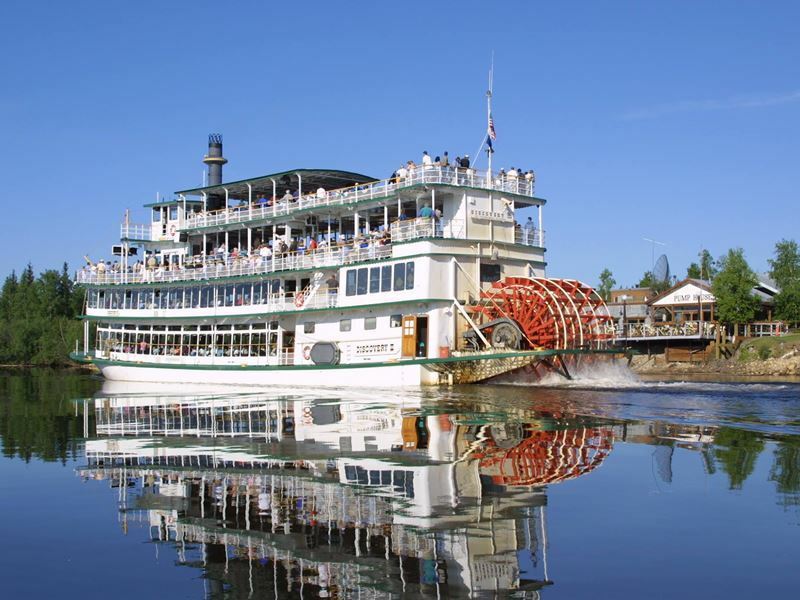 With gold at its heart, the city of Fairbanks is the boarding point for a three-hour cruise on Riverboat Discovery III - the authentic sternwheeler that has been making twice-daily trips on the Chena and Tanana rivers since 1987. Operated by the Binkley family, who have made these waterways their way of life for five generations, this 900-passenger vessel departs from Steamboat Landing - a replica Gold Rush-era river port with a dining hall, gift shop, museum, and ice cream parlour. Once aboard, you’ll sail into the heart of Alaska’s wilderness to experience a time when gold-rush fever was sweeping across the state. Highlights include watching a bush pilot taking off and landing, visiting the home and kennels of the late four-time Iditarod champion Susan Butcher, and marvelling at the “Wedding of the Waters” - the very spot where the Tanana and Chena meet. Tours run at 9am and 2pm (May to September). Don’t miss: For many, the one-hour walking tour of an Athabascan Indian Village is the cruise highlight. Led by a native Alaskan guide, you’ll get to see cabins made of spruce logs, a cache used for storing supplies, a primitive spruce bark hut, and examples of hide and fur clothing hand-embellished with beads. You’ll also get the lowdown on the Athabascan people’s heritage and all aspects of their ancient and contemporary traditions and practices. All it takes is a bit of stamina and some decent footwear to enjoy a lowland stroll or high-altitude trek in Alaska’s wilderness. Some of the best hiking jaunts include the 1.5-mile Flattop Trail to the summit of the 3,510-foot-high mountain for views over Anchorage, Cook Inlet, and the Chugachs, the 8.4-mile Harding Icefield Trail for views of the Harding Icefield, and the well-developed Horseshoe Lake Trail for view of the Nenana River. Other places that will spark the interest of seasoned walkers include the 11-mile Tony Knowles Coastal Trail for views of downtown Anchorage and even Denali (Mount McKinley) on a clear day, and the 1.5-mile Ward Lake Trail for its easy access to some of Ketchikan’s loveliest picnic, camping, and fishing sites. Equally hike-worthy is the 33-mile-long Chilkoot Pass Trail - the fabled passage for tens of thousands of gold seekers during the Klondike Gold Rush between 1896 and 1899. Don’t miss: Short, sweet, and relatively easy to navigate, the two-mile-long Portage Pass Trail features a 750-foot elevation gain that’s worth the effort for unforgettable views of Portage Glacier, Prince William Sound, a beautiful beach, hanging glaciers, and gushing waterfalls. To access the trailhead, drive through the Anton Anderson Memorial Tunnel, and then take the first right past the railroad tracks onto a gravel road marked "Forest Access". As any aurora borealis chaser knows, the real trick to catching a glimpse of these neon-lit ribbons is to visit Alaska between mid-September and late-April when the nights are at their longest and the skies are at their darkest (peak time viewing is in March). Arguably the best place to see this glowing phenomenon (the result of collisions between electrically-charged particles from the sun that enter the earth's atmosphere) is in Fairbanks - the gold rush boomtown that sits just 150 miles south of the Arctic Circle at 64° N. But you’ll also get the chance to soak up the aurora scene in the former gold-mining settlement of Coldfoot, in the small northernmost town of Barrow, and in the vast Wrangell-St. Elias National Park - the largest protected reserve in the United States. For the best seats, be on alert from 11:30pm until 3:30am (the Geographical Institute recommends either side of midnight as the best viewing time). 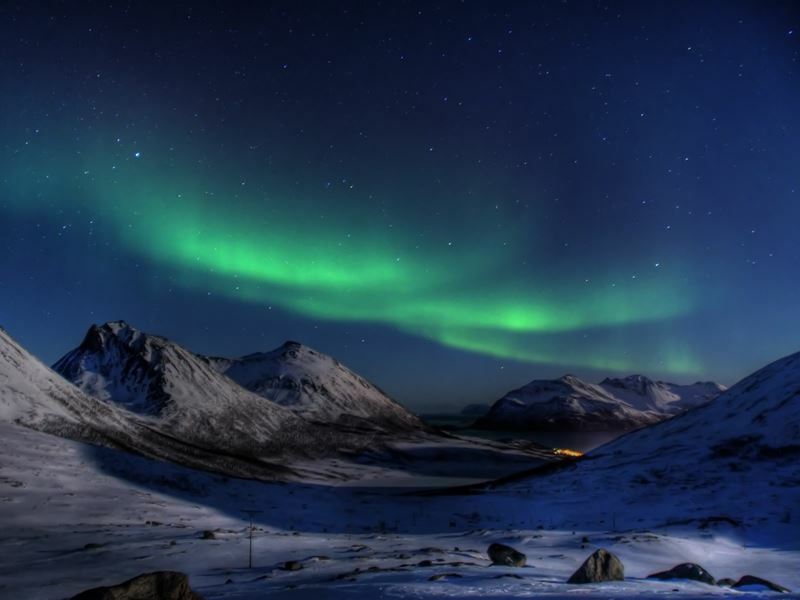 Don’t miss: With six-million-acres of untouched Alaskan wilderness and zero human light pollution, Denali National Park and Preserve comes high on the aurora-hunter’s list for watching the night skies illuminate in a cosmic dance of brilliant purples, vivid greens, and bright reds. Viewing can start as early as the second week in August and continue sporadically as the skies get darker and darker every month (this typically lasts until April). 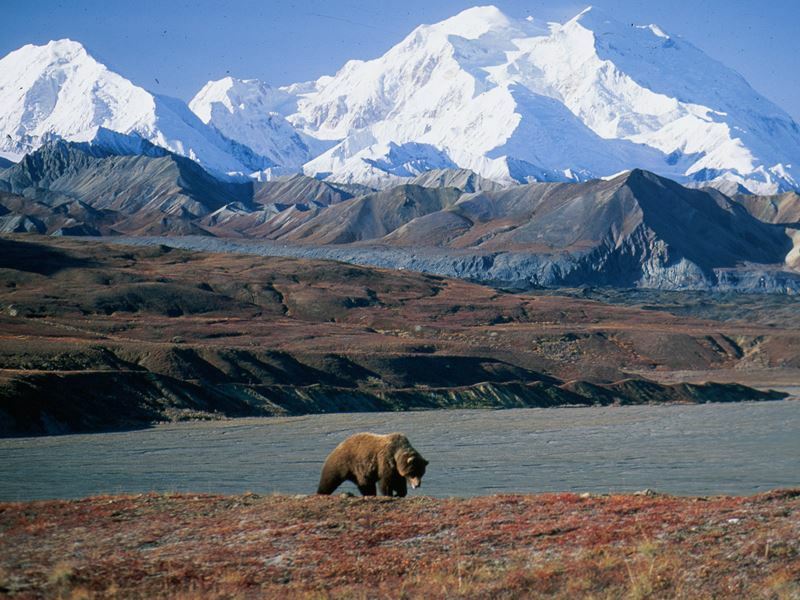 Three species of bear reside in Alaska: black, brown, and polar. And while polar bears (generally the largest of the species) are found in the sea ice and tundra of extreme northern and western Alaska, black and brown bears (known locally as grizzly bears) are pretty much everywhere else. Most bear-watchers make a beeline for Brooks Falls in Katmai National Park, not least to get the trophy shot of at least one of 2,200 brown bears swatting at their dinner during the state’s annual Sockeye (Red) Salmon Run in July. But there’s also plenty of brilliant bear action at the Pack Creek Viewing Area on Admiralty Island (known as Fortress of the Bears). Also head to Steep Creek next to the Mendenhall Glacier, Fish Creek just outside the tiny isolated town of Hyder, and Anan Creek around 30 miles southeast of Wrangell. Some of these sites require advance planning in terms of travel and space, and viewing fees may apply in some areas. 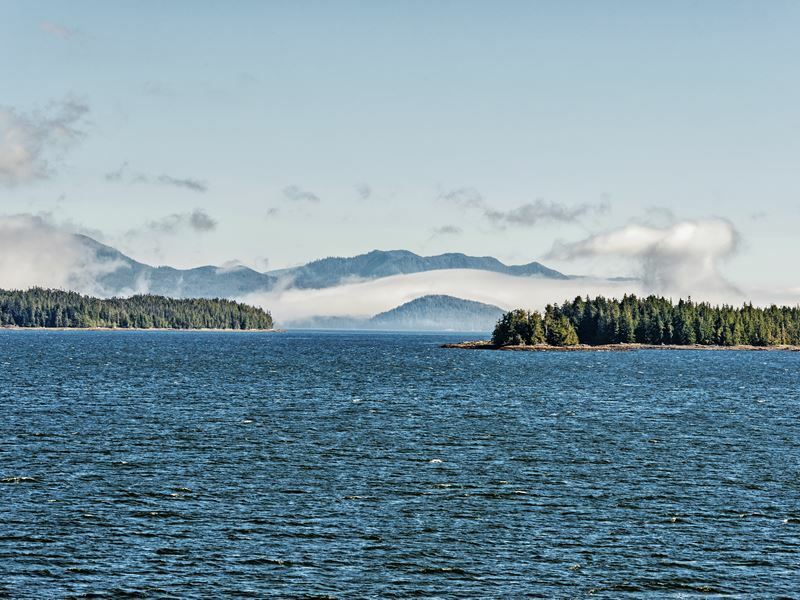 Don’t miss: Not only is Chichagof Island the fifth-largest island in the United States, but it claims the highest population of bears per square mile of any place on Earth. As part of the Alexander Archipelago, this grizzly stronghold is best for bear-viewing between May to September - usually on a three-hour land based tour with a professional guide who knows exactly where to look. Most visitors spot an average of four bears a day, and upwards of 30 bears in a week. It’s a seven-hour drive from Fairbanks to Anchorage - and one that rewards plenty of highlights and activities along the way. Start with a self-guided walking tour of downtown Fairbanks, and follow with a visit to a local museum (the University of Alaska Museum of the North, Pioneer Air Museum, Fountainhead Antique Auto Museum, or Tanana Valley Railroad Museum are all excellent) or a three-hour Riverboat Discovery III cruise on the Chena and Tanana rivers. Drive another 165 miles and you’ll reach Denali National Park, where you’ll be blown away by Mount McKinley - the highest mountain peak in North America. 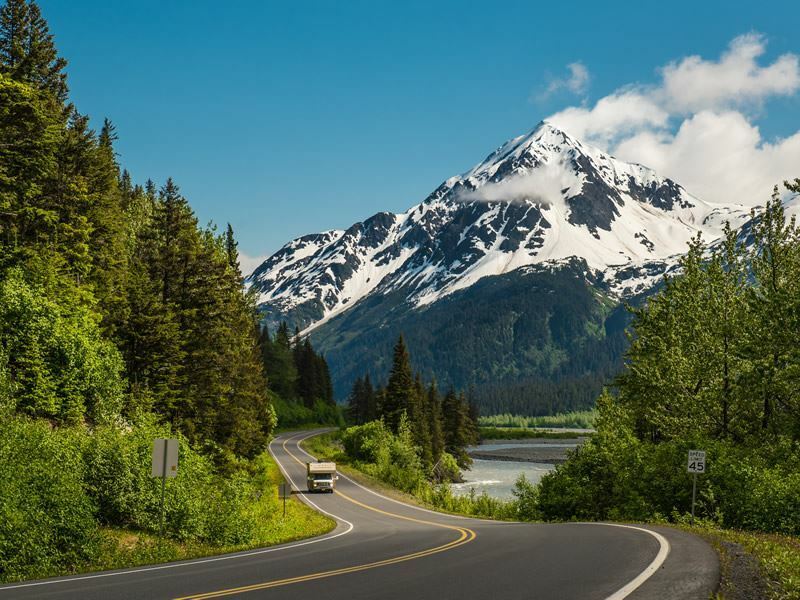 Continue your adventure 236 miles southbound to Anchorage where you’ll find plenty of things to do that don’t involve nature; nursing a beer in an award-winning brewpub, watching a baseball game, shopping in the outdoor farmers’ markets, and checking out the flourishing arts and culture scene. Don’t miss: Opened in 1968 and expanded in 2010, the Anchorage Museum at the Rasmuson Center is Alaska’s largest. Highlights include rotating exhibitions of some 600-plus Alaska Native objects, a hands-on discovery centre featuring a planetarium, and thousands of cultural artifacts that piece together the multifaceted history of the “Last Frontier”. The museum is open daily throughout the summer and for six days a week during winter months. It comes as no surprise that Alaska’s glaciers take centre stage, and few visitors leave without seeing at least one (usually several) of these large bodies of ice and snow. And while the most intimate way to experience these icy wonders is on the water (on either a cruise or kayaking trip), it’s also awe-inspiring to see these expansive sheets of ice from the air. Some of the big names include Prince William Sound for its huge amount of tidewater glaciers that extend down from mountain peaks and out into the sea, Ruth Glacier for its 5,000-foot sheer granite walls rising up on either side, and Worthington Glacier for its all-white surrounds (this is officially the snowiest place in the entire state). Other icy giants are Childs Glacier, Hubbard Glacier, Columbia Glacier, Grand Pacific Glacier, Twin Sawyer Glaciers, and Margerie Glacier - Glacier Bay National Park’s showstopper that is worryingly advancing 12 to 14 feet every day. Don’t miss: Just 15 miles from Seward, Exit Glacier in Kenai Fjords National Park is one of the most road-accessible glaciers in the entire state (hit the Edge of the Glacier Trail and you can walk almost right up to the face of it in 30 minutes). 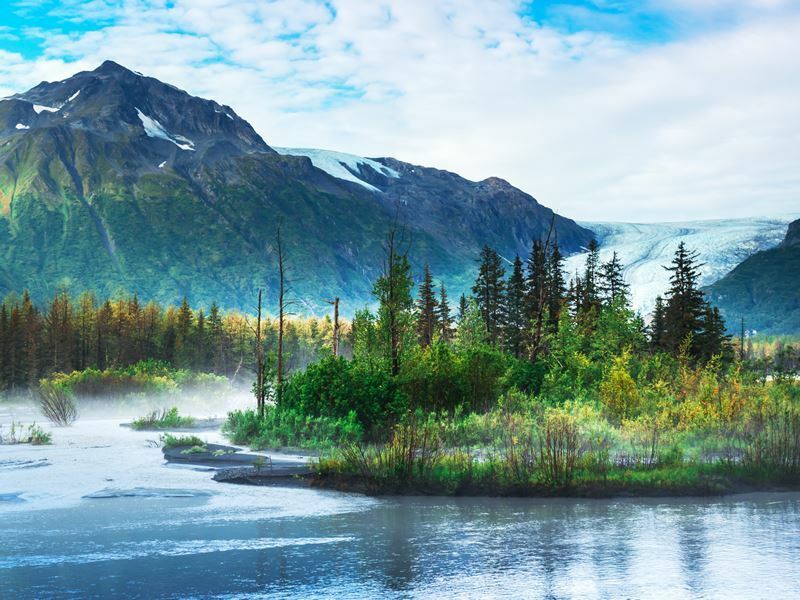 While not huge, this much-loved spot has become an icon for climate change; not least because former US president, Barack Obama, famously spent part of his 2015 Alaska trip at the glacier's melting terminus. 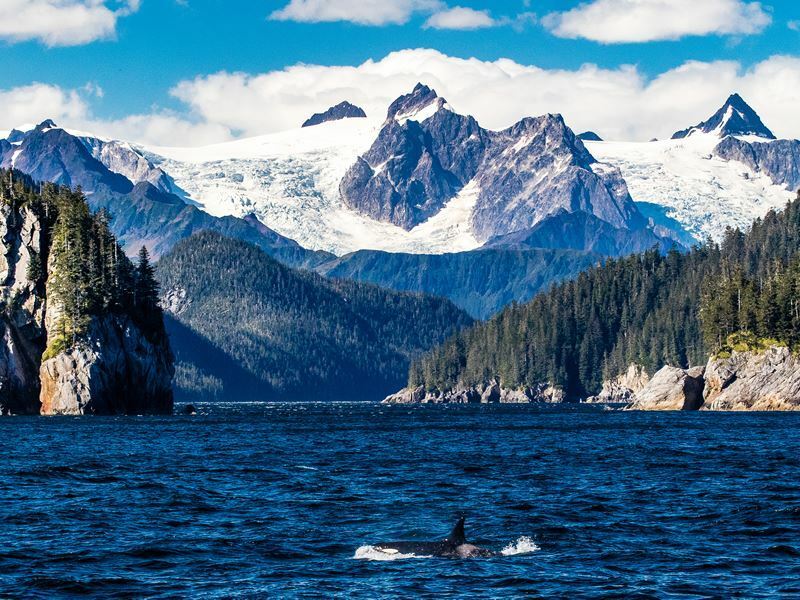 Shaped by the staggering force of massive glaciers millions of years ago, Alaska’s Inside Passage is the fabled coastal route stretching from Puget Sound in Washington, through the British Columbia coast, and into the Gulf of Alaska. Heavily trafficked during the summer months with cruise ships, ferries, water taxis, and floatplanes, this protected waterway has more than 1,000 forest-clad islands, endless idyllic coves and bays, and a dazzling landscape made up of ice-carved fjords, tidewater glaciers, and soaring mountains. Any decent itinerary will include a selection of stops at a number of coastal towns, including Ketchikan for its historic Creek Street, Tongass Historical Museum, Southeast Alaska Discovery Center, and plentiful Native American totem poles, and Sitka for its many cultural attractions such as St. Michael's Cathedral, Russian Bishop's House, Sheldon Jackson Museum, and Sitka National Historical Park. Don’t miss: Just about every Alaska cruise stops at Juneau, the city’s that is one of just two US state capitals accessible only by boat or plane. Must-dos here include marvelling at the 13-mile long Medenhall Glacier, riding the Mount Roberts Tramway for incredible views, and spending time at Glacier Gardens - the botanical garden in the Tongass National Forest famous for its one-of-a-kind “flower towers” (upside-down trees turned into massive hanging baskets).